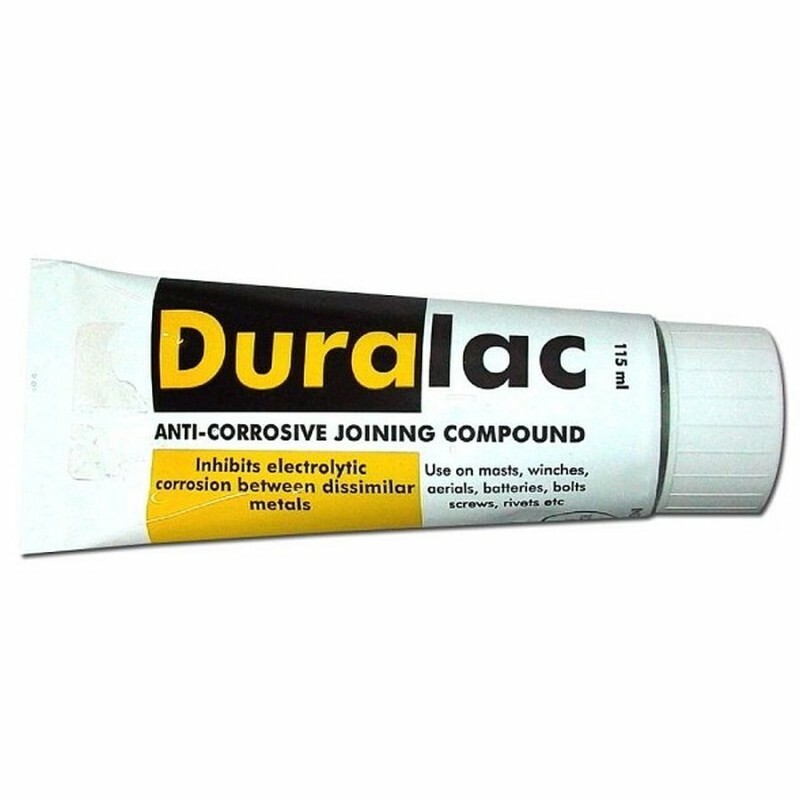 Anti-corrosive jointing compound. Inhibits electrolytic corrosion between dissimilar metals. Can be used on masts, winches, batteries, bolts, screws, rivets etc. It is supplied ready for use; it is best applied by brush. Duralac sets to the touch after application but remains tacky for a considerable period.